The decisions have now been made; the die has been cast for the personalities who will run the corridors of power in the EU institutions for the next five years. There is always feverish speculation in any political capital when new administrations are due to be configured. Brussels is no exception: it just happens there in thirty languages. So EuroHealthNet has monitored but avoided joining in the guesswork, whispering and deceptions that have reverberated around the ‘’Brussels village’’ comprising the institutions and their lobbyists. But five months after voters had their say in the EU Parliamentary elections, we now know who will run the business in that forum; who will lead in the European Commission; and who will do their best to represent the often divided views of the EU Member States through the President of the Council of heads of state and government. Parliament and Council have to concur on the appointments to the Commission College, comprising the 28 Commissioners, one from each country, who provide political leadership to the executive arm of the EU. Its head was already decided before the summer break: Jean-Claude Juncker, the former Luxembourg Prime Minister, had been the figurehead of the Christian Democrat campaign in those EU elections and was deemed to have narrowly won the right to implement his promises, which he set out in a ten point plan. As we say ‘’bye-bye Barosso’’ to the ten year reign of Jose Manuel Barosso, which arguably saw health diminish during the worst economic crisis in living memory, can we expect better from the new broom? Particularly from the man who actually worked alongside President Barosso as ‘’Mr Euro’’ while he chaired the Eurogroup of finance ministers 2005 -13? The absence of clear health and wellbeing priorities is of more than minor concern to EuroHealthNet. We have noted M. Juncker’s general growth oriented and deregulatory approach to markets. This is being implemented despite economic and other evidence of the benefits of addressing obesonegenic environments, tackling worsening phsyco-social factors at work and in communities, and the relative successes of more equitable states. 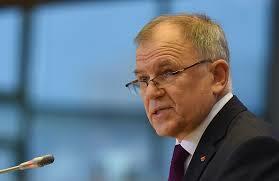 However, in the appointment of Vytenis Andriukaitis as Commissioner for Health & Food Safety there may be a strong champion for health in all EU policies. Mr Andrukaitis has been Minister of Health in Lithuania; he impressed many during that country’s recent EU Presidency, and also impressed MEPs during his confirmation hearing by a commitment to ‘’promotion, protection and prevention’’. He will need all the help he can get: his mandate letter from M. Juncker prioritised legal and market decisions on genetically modified organisms (GMOs), a notoriously difficult dossier; pandemic preparedness just as Ebola dominates global headlines; and health systems performance at a time when the sustainability of many national services is in question – yet the EU lacks powers to act even if it finds solutions. persuade former fellow ministers how to match their fine words in Council Conclusions on health and equity with tangible actions including finances. He may need even more determination to overcome the reluctance of some fellow Commissioners to positively address determinants of health and wellbeing. A new sub-strata of ‘’super Commissioners’’ in the form of seven Vice Presidents will act as enforcers of the Juncker priorities. The way through them to new pro-health policies that would match the ambition of the WHO Europe 2020 strategy looks tough indeed, despite a belated but welcome allocation of ‘’sustainability’’ to the remit of Frans Timmermans who will be First Vice-President Commissioner for Better Regulation, Inter-Institutional Relations, Rule of Law and Charter of Fundamental Rights. It would have made sense if each of the magnificent seven were responsible for one of the seven EU 2020 Flagship priorities for smart, sustainable and inclusive growth, which EC services have been striving to achieve in the face of much resistance, incomprehension and even hostility by the good citizens in their states. But sadly no: instead they will filter any new initiatives, with much talk of reduction of so-called ‘’red tape’’ deemed to harm businesses, including health and safety rules. The fiasco of re-allocating responsibility for medicines regulation and oversight to the Market, Industry & Entrepreneurship Commissioner did not bode well and hastily unravelled in the face of NGO and political outrage. Let us hope that was not a straw in all ill wind. 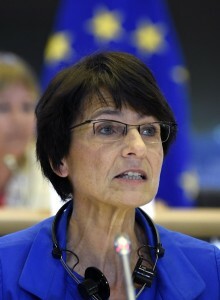 The responsibility for pressing the case for a more ‘’social Europe’’ falls to a long serving Parliamentarian, Marianne Thyssen from Belgium who will run Employment, Social affairs, Skills & Social Mobility. Her mandate clearly prioritises the growth objectives, particularly tackling high youth unemployment which has been called ‘’ a public health emergency’’ by health campaigners. But growth of public services or budgets is not on her agenda, rather the opposite of streamlining as widespread austerity persists. The failure by states to hit poverty reduction targets is causing much concern, particularly for children. News of a fresh impetus for the Platform and Convention against poverty and the 2012 Social Investment Package (SIP) will be much anticipated as Ms Thyssen assumes office with her colleagues. Across the range of her portfolio – from the contributions health systems can make to tackle poverty and exclusion, to new partnerships and actions across the life-course, EuroHealthNet will be seeking to engage proactively just as closely as we also naturally do with counterparts in the health directorate. The strength of those Commissioners’ inputs into the wider agendas of EU policies and programmes will be crucial to renew the 2010 commitments on Solidarity in Health. There has been growing concern about the direction of research programmes. The balance of scientific and bio-medical innovation has become uneven compared to public health, implementation and determinants studies, which the outgoing Commissioner publicly supported but were less obviously implemented in the new Horizon 2020 calls. Whether the engineer, banker and economist Carlos Moedas, fresh from running the Prime Minister’s economic reform programme in Portugal, will herald a better approach to quality research in our fields is open to question. Similarly, various shifts of portfolios concerning gender equity, rights and anti-discrimination, life-long learning and environmental protection have all raised protests or concerns. Time will doubtless tell – any new body needs fair time to carry out its programmes and be evaluated – but the situation faced clearly demands some urgency. The scrutiny of these Commission responsibilities falls primarily to MEPs, the most open to influence of the three major institutions. (The Committee of the Regions representing local and regional authorities gives strong opinions when consulted but has relatively few powers; the Economic & Social Committee gives the views of limited social partners). After the usual horse trading for political positions and advantages, the composition and leaderships of the labyrinthine committee systems in Parliament have also been settled. A so-called grand coalition of the two largest groups – the Social and Christian Democrats – means that most major votes will be settled by negotiation. That also meant a political truce during the hearings for all nominee Commissioners to achieve a delicate balance – which regrettably did not extend to a gender balance, only 9 of the 28 are women. It was a woman who was the sole faller at the parliamentary hurdle: the self-nominated former Slovenian Prime Minister under-whelmed at her hearing and was replaced by a former fire walker who demonstrated all the confidence that hobby must require. All others survived irrespective of whether they were truly convincing – this was raw realpolitik. A shrewd guess could be that Mr Timmermans will turn out to be one of the stars, whether liked or hated, of this new administration. This rather self-important but ultimately weak performance by parliamentarians generally suggests that fearless scrutiny of the performance for programmes is less likely than the usual politics in the new term. Most of the noise was bluster – most subsequent changes on responsibilities for transport, space and medicines were tinkering at margins rather than substantive. It is true that there are now more hostile voices than before: no longer can it be assumed that most MEPs are instinctively happy with ‘’the EU project’’ in the face of economic, environmental and social problems a-plenty and the growing influence of social media, consumerism and globalisation processes, most notably being seen on increasingly fraught inter-continental trade deals. Two thirds of MEPs backed the appointments of Mr Juncker and his team; opposition is fragmented from Greens, Communists, nationalists and libertarians but is growing in substance and influential on some parliamentary committees, for example on markets, where agendas and schedules are set. It is also often forgotten that the ‘’peace’’ imperative was a key motivation for the founding of the European treaties and their market mechanisms. Struggles on the eastern borders of the EU, nationalist and devolution movements are all high on agendas in the institutions as conflict and fracture becomes more threatening than for many decades. Further enlargement to the south east, energy security and rights of free movements across state borders are all contentious, high priority – and have health implications. Their resolution will dominate the in-tray of the new President of the Council Donald Tusk, as he switches from leading Poland to become one of the triple figureheads of Europe for its citizens and the world, alongside M. Juncker and Martin Schulz, the continuing Parliament President who was so supportive of the European Public Health Conference in 2013. Mr Schulz (and Ms Thyssen) is a rare long term survivor. The turnover of MEPs and Commissioners every five years is high. Only half of the MEPs are experienced there; only 6 of 28 in the EC College continue. That is bound to bring uncertainties and flux. Already we hear strident calls from the parliamentary committees for more to be done to tackle the social ills apparent on the ground in states. 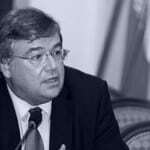 The economic situation will dominate the work of the new institutions. As this article is written five EU states nervously await summonses from Brussels about budget deficits for which unpleasant remedies may be enforced. 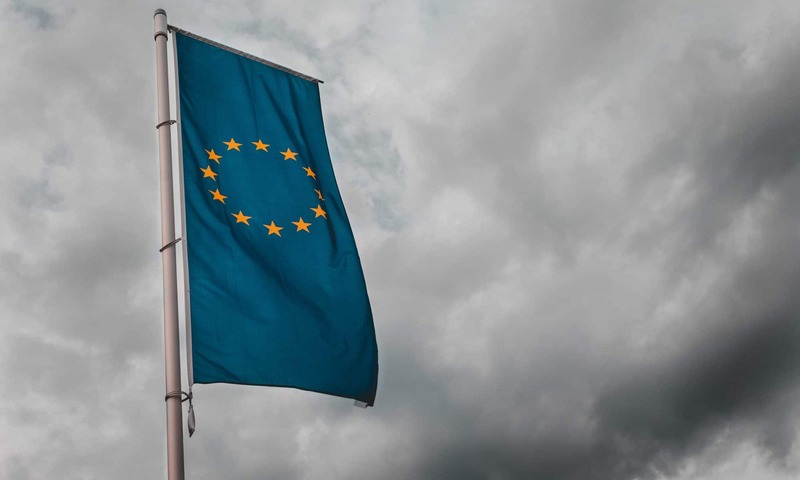 It is noted critically that only one in six of economic recommendations agreed between EU and States are voluntarily implemented. The next announcement EuroHealthNet awaits is the new EC work programme for the coming year, with which we will engage to ensure our own work programme for 2015 is closely aligned and relevant. Already we have submitted our recommendations for the open consultation on the EU 2020 strategy with which we are working state by state to act on country specific needs, and linking our knowledge back to their Council representatives in Brussels. Already our partnerships and projects such as IROHLA and DRIVERS are linking with the new institutions to input evidence into policy processes. Already we are demonstrating to the new Commissioners how our experience and strong partnerships can bring an added dimension to implementing and developing programmes and practices. 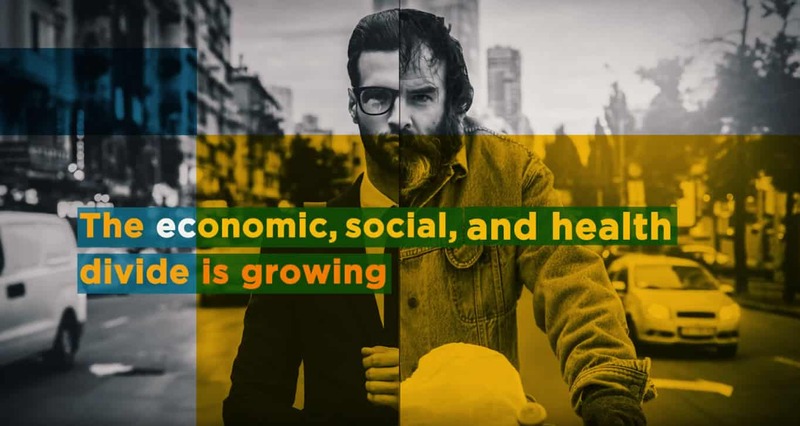 EuroHealthNet will continue to monitor all the institutions as they settle into new approaches; we will report in these pages and our other media on the strengths, weaknesses, opportunities and threats that we identify. We welcome the input and comments of readers as we do that. 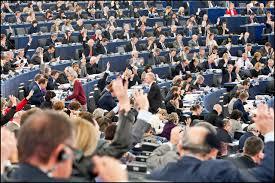 Do you know your local/national Members of the European Parliament? Previous PostPrevious How can Health System Performance Assessment (HSPA) lead to improved health and equity?